Be Part of the next 100 Years! An open door to knowledge and enjoyment for the whole community. Part of the Mid Hudson Library System. 5 Library Lane Woodstock, NY 12498 845-679-2213 fax: 845.679.7149 info@woodstock.org Join or email list online: http://www.woodstock.org Like us on Facebook: https://www.facebook.com/woodstocklibrary Follow us on Twitter https://twitter.com/wdstcklibrary Mission Statement: The Woodstock Public Library district has two primary missions: To facilitate learning and self-education for the community. To encourage all children to develop an ongoing interest in reading and learning. The Library will select, organize and circulate books, periodicals and other resource materials and media necessary to these primary missions. The Library will promote, on an ongoing basis, a community-wide awareness of the Library’s resources. Structure of the Library: The Woodstock Public Library District was created by Chapter 499 of the Laws of 1989 (New York State). The district is governed by a publicly elected eleven member board of trustees. The term of office is five years. Candidates run at large. The annual election to fill board vacancies is held on the first Thursday in September. Prospective board members must petition for candidacy. Eligibility to vote in the Library District election is based on eligibility to vote in the Woodstock town elections. 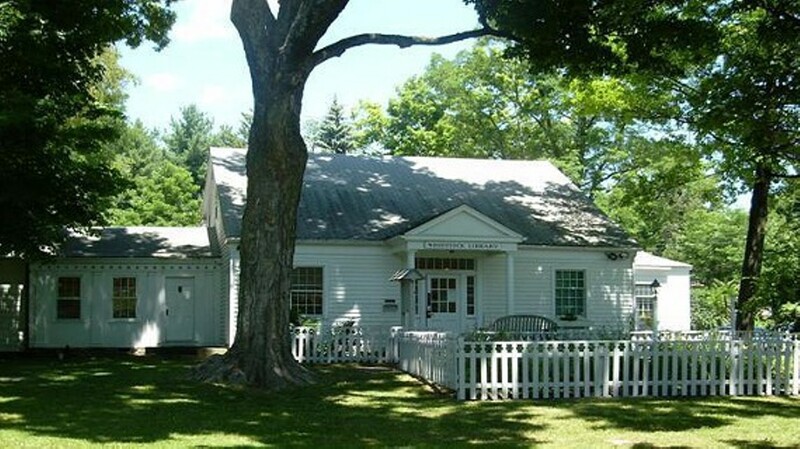 History: The Woodstock Library was established in 1913 in a converted barn. A budget of $40 paid for some bookshelves, a few chairs, and a coal stove; the books were donated. 07/14/15: UPDATE: Woodstock Library Forum:Hester Mundis’s Live Comedy Special on Saturday, July 18, 2015 has been cancelled! Just in: Unfortunately, this Saturday’s Forum, The World on a Runway: Textiles in Fashion Design with Fashion Designer Erin Cadigan has been canceled. At this time there is no new date, but please stay tuned!